Please join us as we celebrate the 40th anniversary of Black Classic Press hosted by the Reginald F. Lewis Museum. We’ve come through forty years with the help of a diverse and amazing community of people, who have stepped up each time that we ran low on energy, money, or faith. People and institutions have been there for us. We could not exist without them. So, our fortieth is going to be a celebration of all that we’ve overcome and the amazing people who have been there for us. With good food, music, gratitude, and giving back, we’re going to have all the necessary elements for a not-to-be-missed celebration. Our host, The Reginald F. Lewis Museum, an institution that’s named for a man who knew a lot about persistence, going against the odds, and giving back, will be the recipient of our generosity. 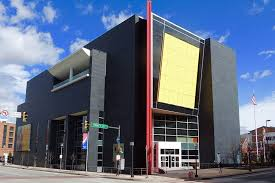 We are glad the museum has opened its doors to host the 40th Anniversary Celebration of Black Classic Press, and we are going to express our gratitude by supporting the institution through a membership drive and donations. We will be celebrating a full weekend, May 18–20. On Friday May 18, we will host our welcome reception celebrating the literary arts. Saturday, May 19, will be a full day starting with a Black book fair and discussions at the museum and ending with the Gala of Gratitude later that evening. If time permits, please visit us at the Black Classic Press offices for an Open House on Sunday, May 20. We’ll provide tours and feature live book making using the state-of-the-art equipment we work with every day. This celebration will bring together many of the wonderful people with whom we’ve worked and grown with over the last 40 years: authors, publishers, book lovers, current/former staff members, and family. It just won’t be the same if you’re not there, so please plan to join us. Buy your tickets by clicking here. Or, to purchase your tickets over the phone, please call our office at 410-242-6954 and someone will assist you with your purchase.